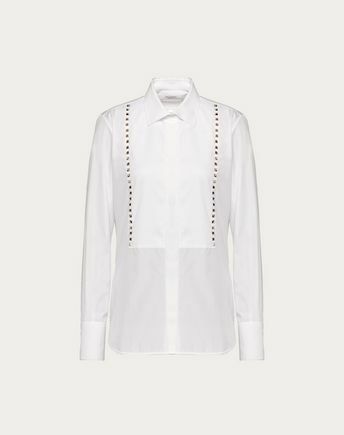 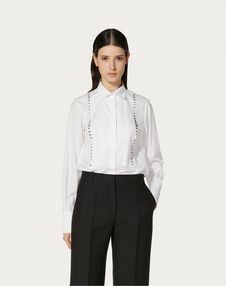 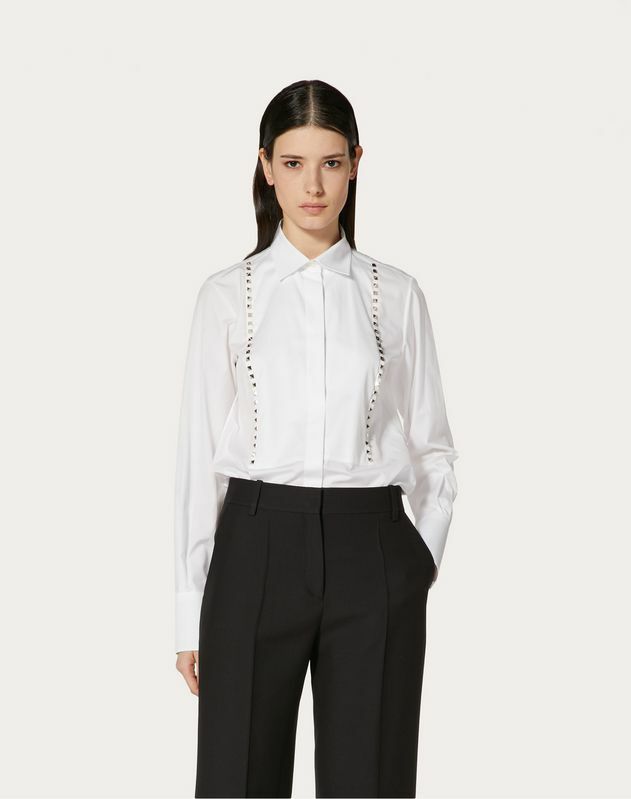 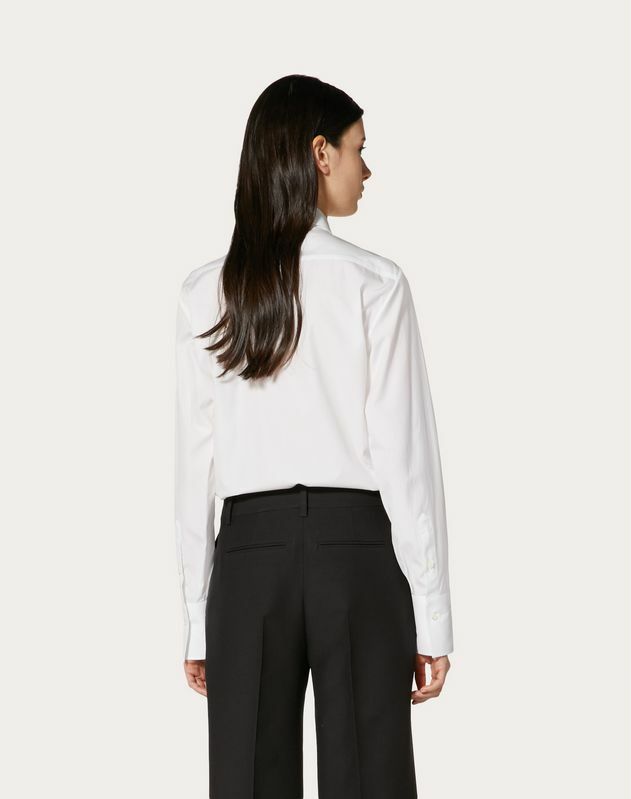 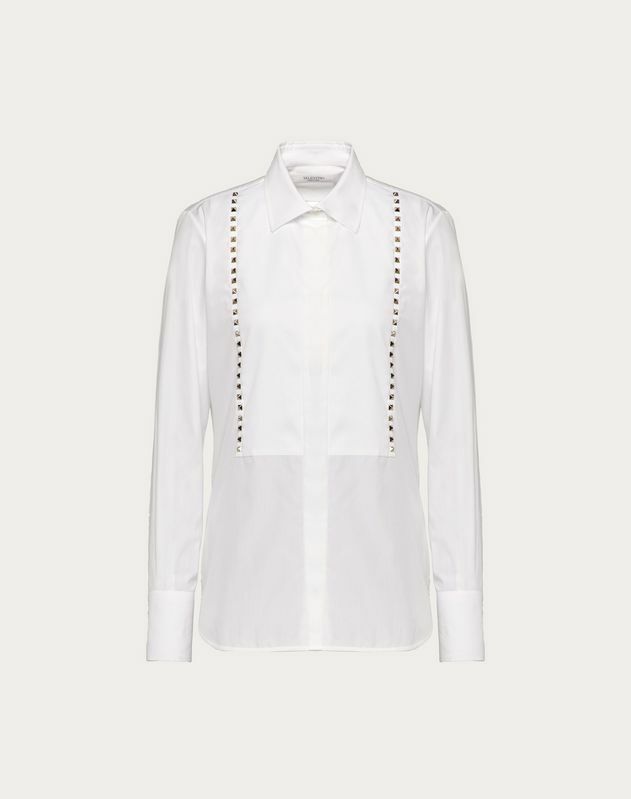 "Rockstud Untitled" shirt in cotton poplin with silver studs. 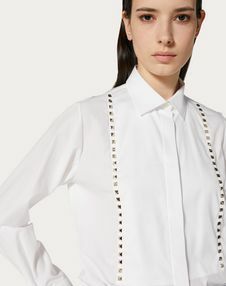 - Pique plastron surrounded by silver studs. 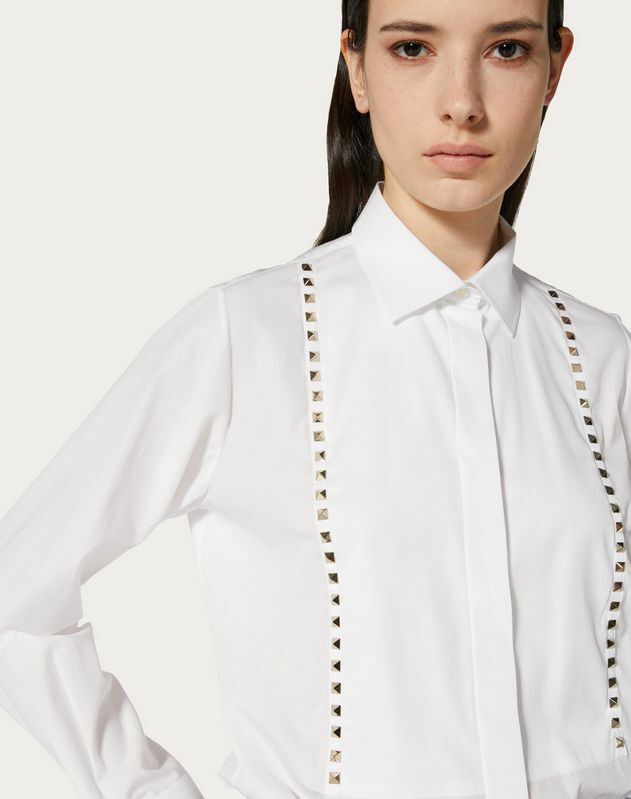 - Inspired by Japanese ""Wabi-sabi"" philosophy, the ""Rockstud Untitled"" project presents a series of simple but sartorial garments featuring Valentino’s signature studs.